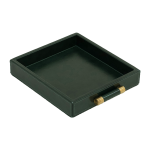 This classic tray in genuine leather and with handles in real brass will multitask in so many ways in your home. 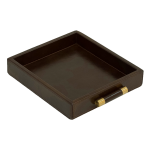 Why not use it for your beautiful jewelry or on your bedside table or working desk. 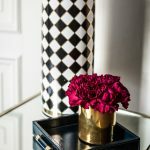 This interior accessory is not only stylish but also very useful, and did we forgot to say it also works as a perfect gift?